DBPOWER is a good brand when it comes to budget action cameras. 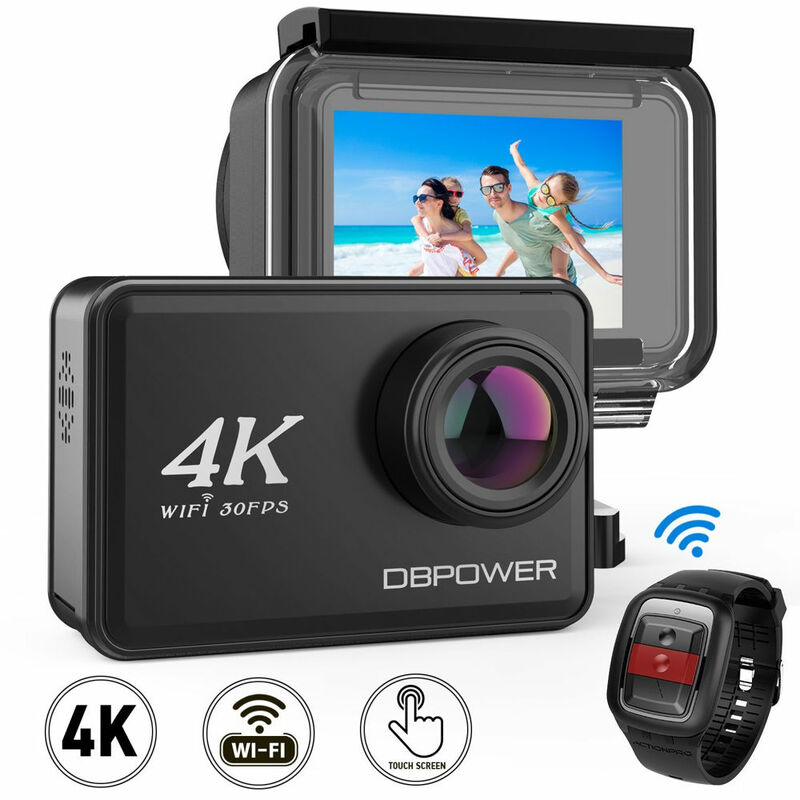 You can purchase a lot of their products for less than $100 and the DBPOWER D5 Native 4K EIS Action Camera is one of them. Although this is a low-priced action camera, it has very impressive specs. It can record 4K 30fps / 1080P 60fps videos, it comes with accessories like a waterproof case and some mounts, and you even have 2 batteries. You won’t have to worry about running out of battery during long trips. Notably, they provide a wireless wrist remote that allows you to capture photos or record videos quickly. You can also control the camera using the 2-inch touchscreen. Or you can install the Android/iOS app to record and share photos easily. The only downside of the DBPOWER D5 is that the maximum capacity of microSD card should be lower than 32GB. Therefore, the memory might run out pretty fast, especially when you record 4K videos. The MSRP of the DBPOWER D5 is $94.99 but you can use the coupon 6G7L3S6J to get 27% off. The coupon is valid until April 30, 2018.